This coloring sheet is part of our free Ten Commandments Coloring Book. 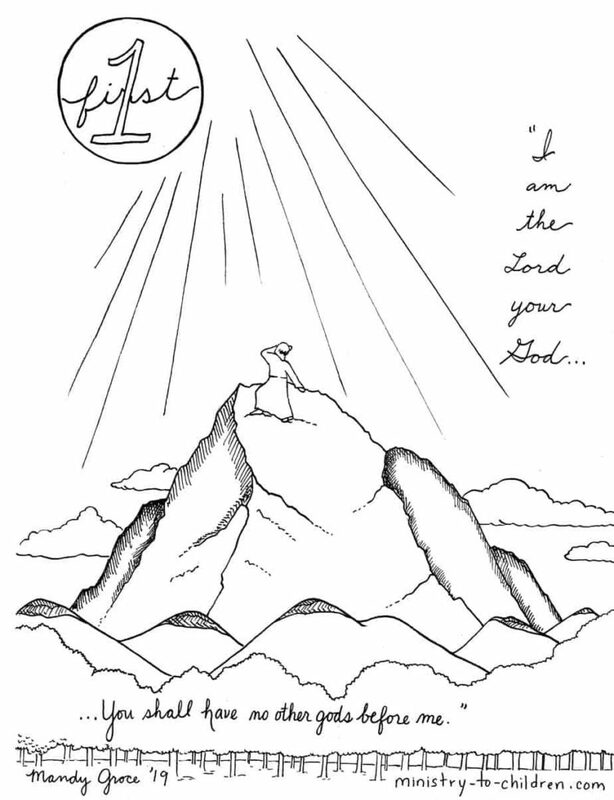 As you can see above, our first commandment coloring page illustrates Moses atop Mount Sinai with his face covered. This printable is ideal when teaching through the 10 commandments. We suggest you use it to illustrate and explain the first commandment for kids. The text reads directly from the Bible. I am the LORD your God, who brought you out of the land of Egypt, out of the house of slavery. “You shall have no other gods before me. Tony Kummer (Editor) reviewed & updated this page on : February 22, 2019 at 11:56 am. All our content is peer reviewed by our readers, simply leave a comment on any post suggest an update.